Any project director can start to feel the heaviness of monotony after six years of producing the same thing repeatedly. While I love directing the Liberty Belles, putting the same theme on repeat year after year has gotten to be a little like painting by numbers. Creativity is the best part of any project, but it’s usually the stage of the project that ends the quickest . 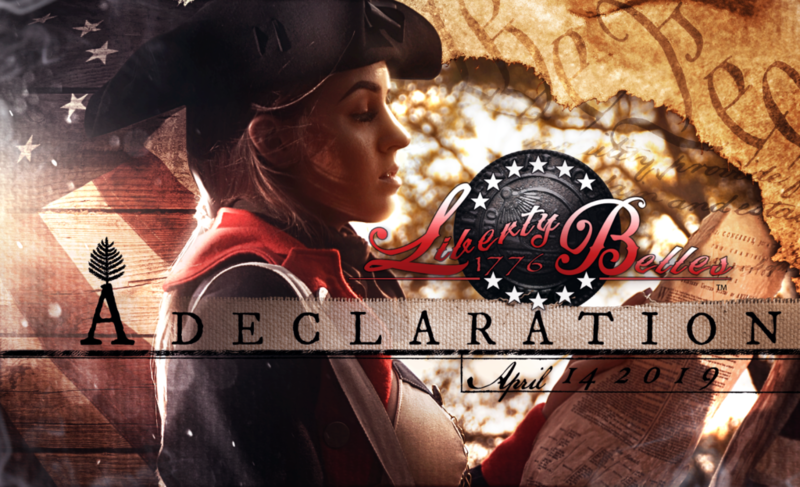 So, in an effort to break up my monotony — and hopefully your as well — the 2020 Liberty Belles calendar will carry a Revolutionary War theme. With it, I hope to celebrate the birth of our great nation, and honor the sacrifices our patriots made in order to secure our life, liberty, and our pursuit of happiness. I also hope it will create an opportunity to share certain aspects of lesser known American history with all of our fans, and at least start a dialogue between some of you who know our history, and some of you who don’t know much about it. In order for us to know where we’re going, we should know the truths about where we came from. While we still love the more modern warfare Liberty Belles theme, taking a look back at the history of warfare is also apropos to learning about how to conduct war. We’re excited about this fresh new direction the calendar is taking, and we hope you guys will be too. Either way, let us know what your thoughts are. We love getting feedback from our fans!